The guy holds over 1,000 patents; has published over 1,000 articles; oversees an MIT lab that has served as an incubator for 40 companies; and he is the most quoted engineer in the world, ever. Ever in history. 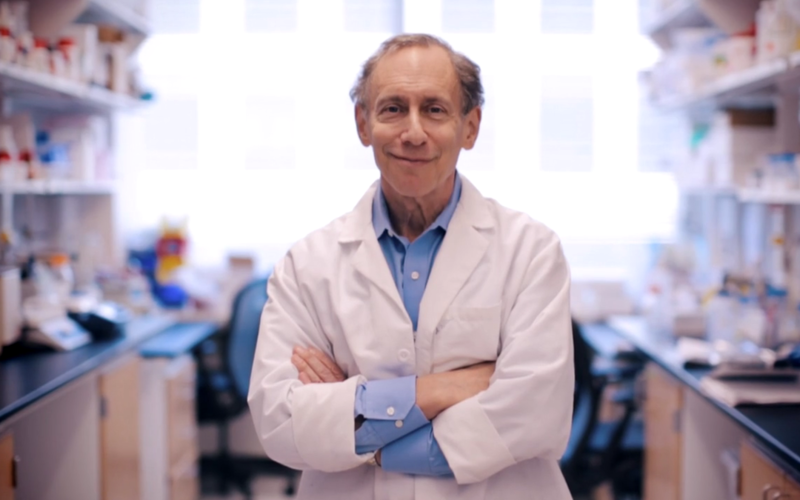 We’re talking about Dr. Robert “Bob” Langer, who is recognized as the Thomas Edison of our times. Considering this biomedical inventor and serial entrepreneur is pretty much a genius to boot, we thought it might be worth listening to what he has to say and booked 45 minutes with him at his MIT office. Because Langer’s been around the block and his days of going to electro dance clubs are behind him, we were looking for insights from his top level view, especially as a mentor. Turns out though, his early career started out pretty bumpy and really resonated with what a typical young entrepreneur can go through. The big problem: He was a chemical engineer looking to make his way into medical research. He didn’t fit into a particular mold. As Langer explained, “My parents always set this attitude that they just wanted me to do something that I enjoy. They never put pressure on me.” So when it came to pursuing a career, he said, “I didn’t have clear expectations. I kind of went with the flow.” So he had a passion to help people, but this was a “searching time.” He was figuring out how to fulfill that passion in a way that he would enjoy. You’d think all that rejection would shake his confidence, but it didn’t. “At that time I felt that the ideas I had were good, I believed in them. I believed that they could have a huge impact and that sustained me.” This echoes what we hear time and again: Entrepreneurs have unshakeable confidence in their vision, their ideas – even in the face of naysayers. Those ideas would result in Langer’s pioneering work in biotechnology, more specifically drug delivery technology and tissue engineering. Finally he scored a job as a postdoctoral fellow for cancer researcher Judah Folkman at the Children’s Hospital Boston. Folkman became a role model and mentor. This is way over my head, but while with Folkman Langer figured out a delivery system for a tumor inhibitor using a synthetic polymer system that is implanted in the tumor. It laid the foundation for drug delivery technology. He was a chemical engineer breaking the mold! So now he’s doing all of this cool research work, making discoveries, finding solutions, but getting others to adopt those solutions was another roadblock. The work on the tumor inhibitor was published in a major medical journal but no doctors started using the technique. That was 1976. Some 10 years later an MIT colleague finally suggested they start a company to bring their MIT work to the world at large. Langer agreed – and a serial entrepreneur was born. In some corners, academic researchers turned entrepreneurs are frowned upon. Langer will have none of it. When asked why he started his first business – a question he’s undoubtedly been asked hundreds of times – his stock answer is pretty much bullet proof: “Because I realized it was an effective path for transforming science into life-saving and life-improving inventions.” Yup, he was going to impact more than 50 underprivileged kids. We asked Langer to jump ahead to the present, and his role as mentor at MIT, where the environment can be pretty intense and competitive. What does he draw upon from his own experiences, when young people in his lab need some guidance on their work and career. It starts with what his parents told him: “Be happy. Choose something you love.” But he also recognizes that MIT undergraduates can be overwhelmed and try to do too much, so to them he says, “Do well at less rather than trying to do more.” It’s the kind of advice young entrepreneurs should heed: Pursue something your passionate about (i.e., don’t do it for the money); and be realistic about goals and how much you can take on. For the graduate students and researchers in his lab, Langer’s advice is also poignant for budding entrepreneurs: “In life the thing that’s defining is not how good your answers are but it’s how good your questions are.” And he views his job as mentor to guide them to a point where they’re asking good questions. Knowing how to ask good questions cannot be underrated! “They’re learning how to deal with the sadness or the depression or the frustration of research going slowly,” Langer said of his students. “Sometimes you need to live that. The people who are most successful doing research are the ones who know how to deal with failure well.” He believes this is true in science as well as in business. “The road is long,” he concluded. Right now some of that stretching at Langer’s lab involves tissue engineering, among other projects. Langer and his team are working on ways to make new skin, muscle, bone, entire organs. That’s what happens when you throw engineers into medicine. For Langer, he says it’s all about taking an interdisciplinary, collaborative approach. And he’s not inclined to take no for an answer.